There are many specialists throughout the UK that can help you out, but do be careful as many can be very expensive, and others can be ‘unlicenced’ to carry waste which could land you, the consumer, in trouble! The best companies for removing old garages can often be buildings themselves. Many will offer this as a service, and if you are replacing your building with a new concrete garage, the builder will be able to check and quote for any remedial work required to the base (new concrete garage bases need to be flat and level, and slightly larger than the size of the building you intend to install). Make sure to get two or three quotes, and absolutely insist on a written quotation detailing exactly what you are getting for your money. Also, make sure the quote includes the cost of any skips, transport costs, and tipping fees that might occur. Check whether VAT is included in the final cost AND very importantly, a date is specified to complete the work by. When it comes to payment, I wouldn’t part with all the money up front. It is reasonable for companies to request a small deposit to secure the service between the time you agree, and the time the work is carried out, but certainly do not pay for the job up front. Check also the method of payment the builder or company is prepared to take for removing the old garage. And that’s it! Pretty simple really if you follow the simple steps suggested above. As a garage company, we have made contacts with several builders who offer old garage removal services, so if you don’t have the contacts yourself, feel free to contact us and we can put you in touch with our sources. Hi I'm Sharon Winson, sales manager at Nucrete Online. It's my job to make sure you get the perfect building for your project. If there's anything I can do to help, please feel free to drop me a line - 0800 849 9036! 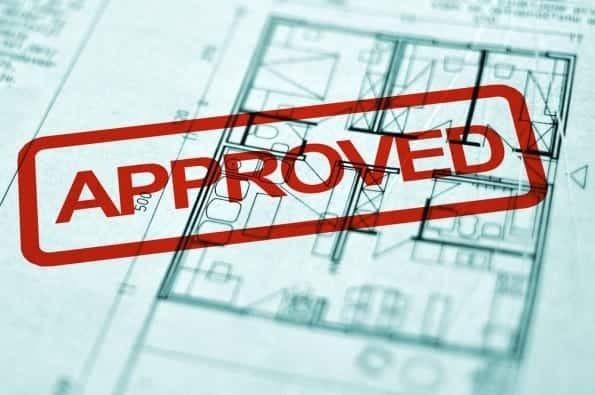 Do I need planning permission for a garage extension? Nucrete gets a Facebook Page!